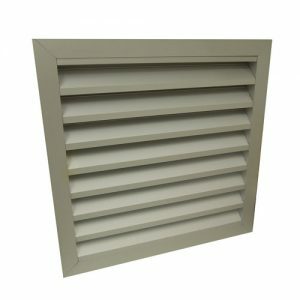 Premium exterior aluminium vent with duct adaptor. Fits standard brick sizes (see dimensions tab for specific measurements). The fascia is quality weatherproof aluminium with an inbuilt anti-intrusion mesh. 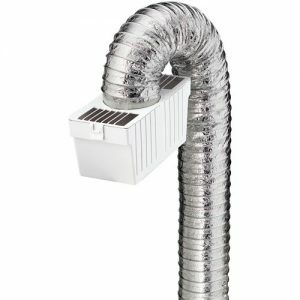 The boot at the rear of the vent is white plastic and opens out to allow for connection to 150mm ducting. 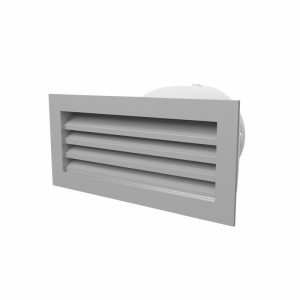 Metal vent with no connecting flange at the back. 350mm x 350mm face – please refer to dimensions diagram for more information. The Deflecto Lint Trap Kit is for indoor dryer venting. It involves quick and easy installation fitting all clothes dryers however cannot be used with gas clothes dryers. Included in the kit is the lint trap, Supurr-Flex Metallic Duct and 2 Clamps. This particular venting kit is for indoor use only. Melting Point: 325°F+ for container. Operating Temperature: 265°F for duct. May require open doors in small rooms for adequate heat distribution.